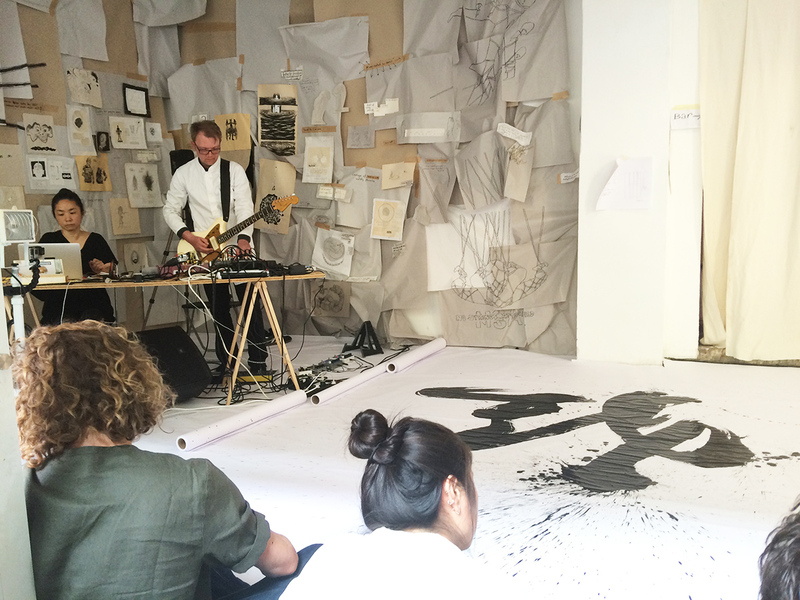 Aoi Yamaguchi performs a conceptual and interactive large-scale live calligraphy in collaboration with Berlin-based musician Schneider TM and e-textile artist Mika Satomi, inspired by the TYPO Berlin 2017’s theme “Wanderlust”. 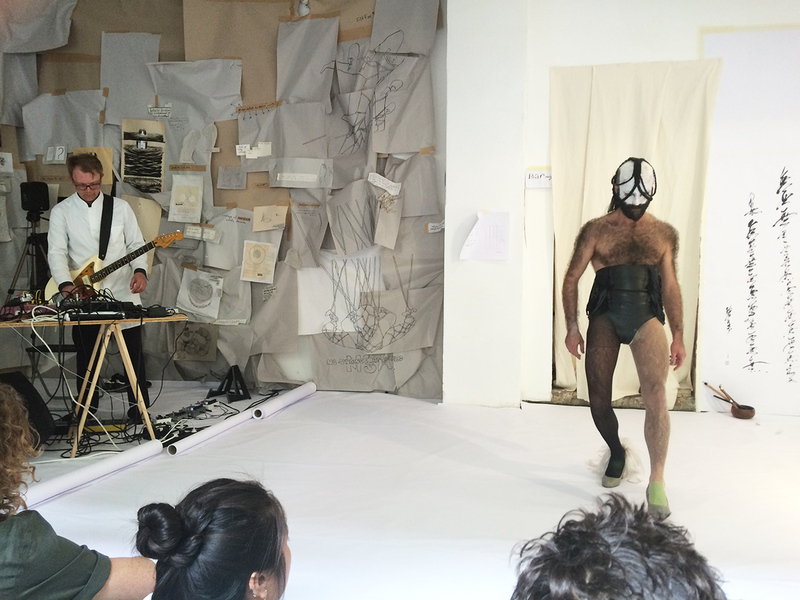 This time, we have a new collaborator Özgür Erkök Moroder, who performs with his high-heels. 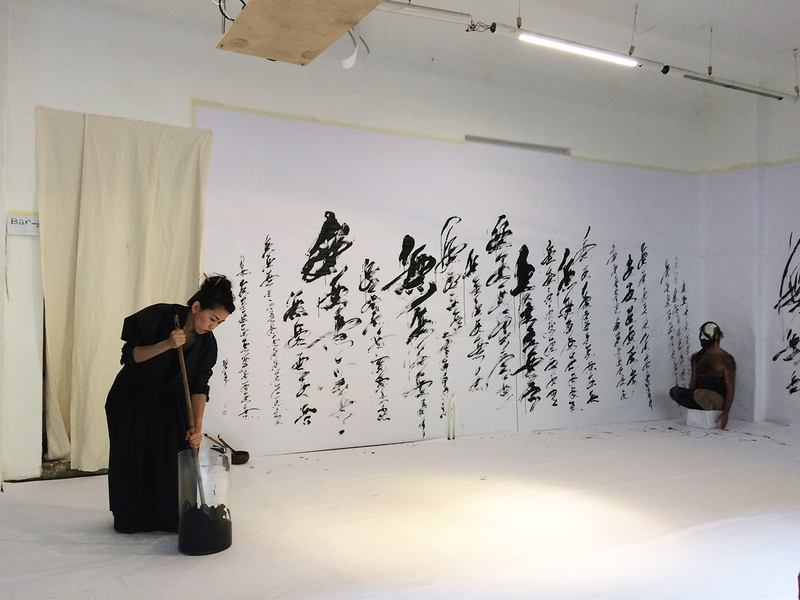 During the 2 days of mini-residency at the Apartment Project, we will be experimenting with the border between traditional and avant-garde. 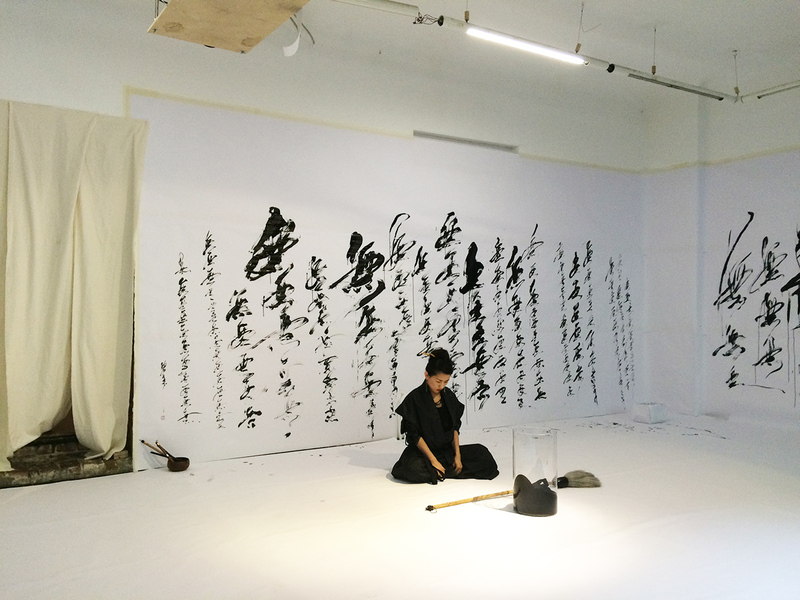 The performance invites you to experience the art of Japanese calligraphy and to explore the connection between the body and the mind as Yamaguchi creates the physical representation of an idea with her brush, stroke by stroke. 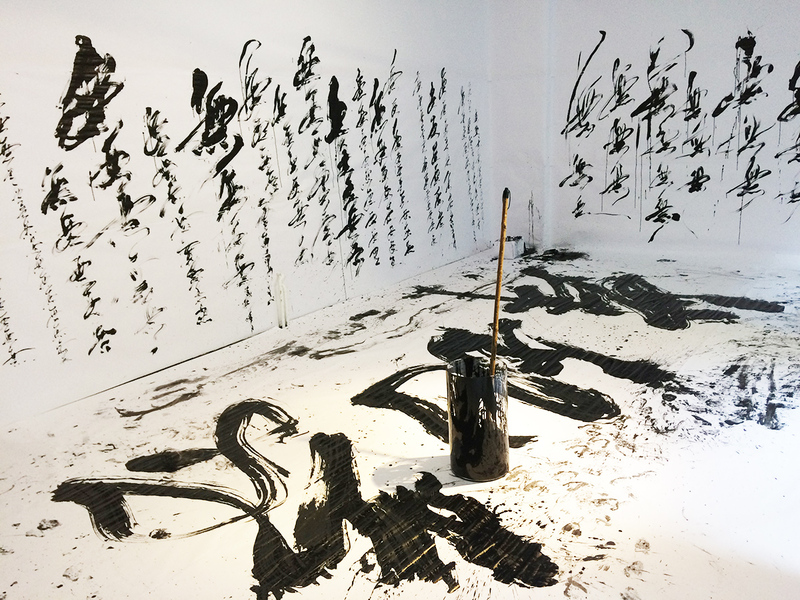 During the performance, the calligrapher’s movement is captured by sensors and translated into a signal that controls part of the instruments. 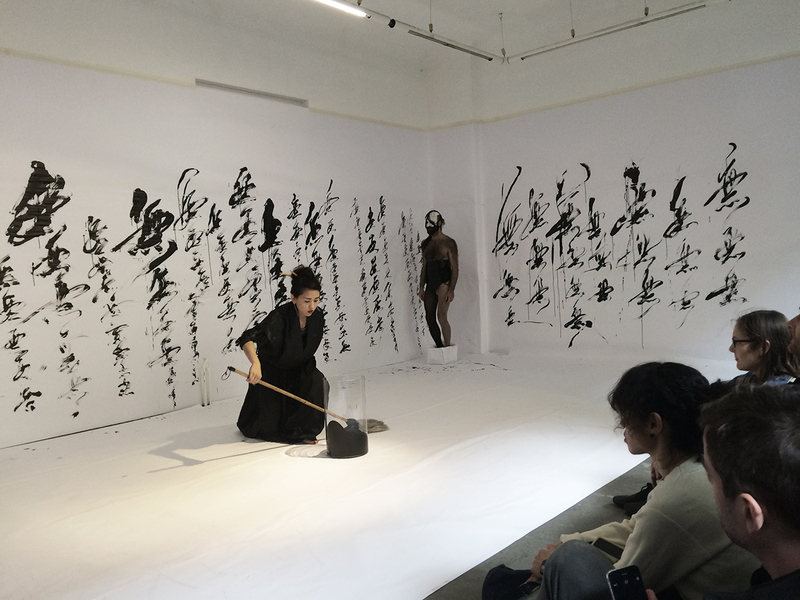 Each motion of her brush is enhanced by sensors that augment Schneider TM’s composition adding a unique and powerful modulation and pulsation that entices the audience become part of the piece. 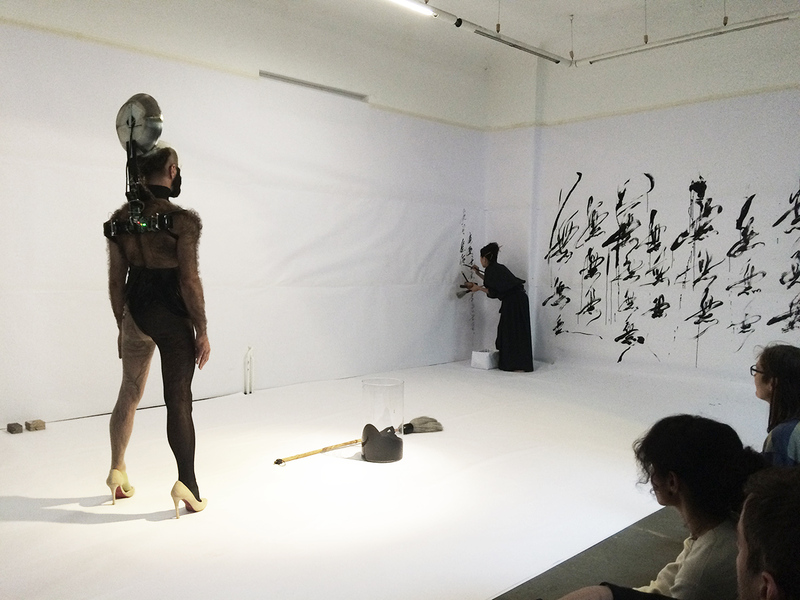 Özgür Erkök Moroder contributes with his high heel (tak-topuk) performance.